The act of patience is clouded with mystery. The unknown, waiting to become the known. The untold time which presents itself as a message of fear. The unpredictable, creeping into the essence of our being. The feeling of wanting, and not having, envelops into our present moment. How can patience be a virtue? Time and patience is merely an illusionary process, which teaches us to value and savor the moments of our lives. What can feel like an eternity can be but a short minute, and a minute feel like an eternity. The act of patience rewards us with feelings of triumph, satisfaction, and expectations met. Without this act, the thrill of finally arriving at the destination intended by patience cannot be rewarded. Nor can the sense of victory be fulfilled. 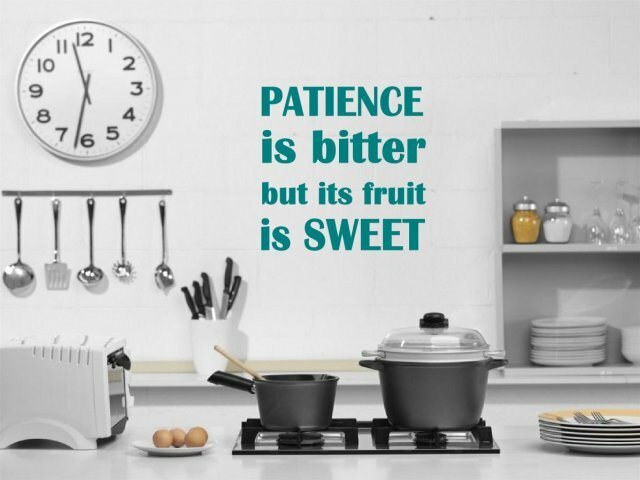 Enjoy the sweetness of the gift of patience. It tastes like no other, and offers rewards you cannot imagine, only experience.